We’re pretty sure that those lucky enough to be in a position to purchase a Ferrari or Maserati new won’t be terribly put off by a 6% hike in price, but just in case there were any potential worries, Naza Italia revealed that prices of the supercars, GTs and luxury sedans it sells are all unaffected by the recently-implemented Goods and Services Tax (GST). 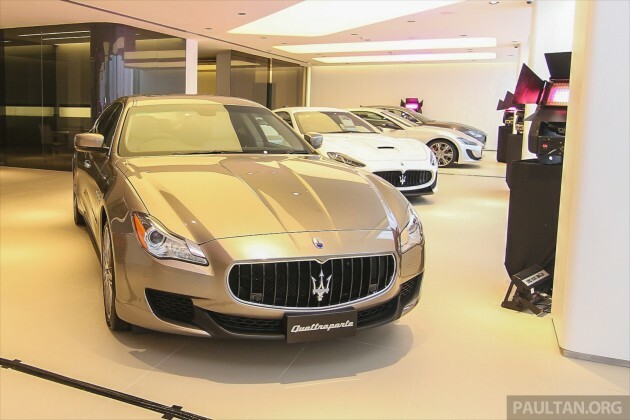 “Prices remain unchanged, we’ve taken [GST] into account and at the same time managed to hold prices for Maserati and Ferrari,” Naza World group senior vice president, four wheel division, David Hector Ratnaike told reporters at the launch of Naza Italia’s upgraded showroom yesterday. Of course, recent Ferrari launches have quoted prices without import or excise duties, let alone GST, and equipment and personalisation options that owners are likely to tick for these vehicles will affect the prices (and the taxes applied on the cars) greatly. Ratnaike added that the depreciation of the ringgit against the US dollar is not expected to affect sales, either, pointing to the group’s 40 years of experience as being beneficial in riding out the cycle. “With regards to [the differences in] foreign exchange, that’s not something new. There has been a certain amount of hedging had been done in terms of risk management; nevertheless, it’s all factored into the costing of the vehicles, so that would not directly affect the purchase of the vehicles,” he said. What’s more, he claims that Malaysia is currently one of the top three markets for Ferrari in the region, a position Naza Italia expects to retain in 2015. “The benchmark was top three in South East Asia, but a few years ago we were even in the running for top four for Ferrari globally. 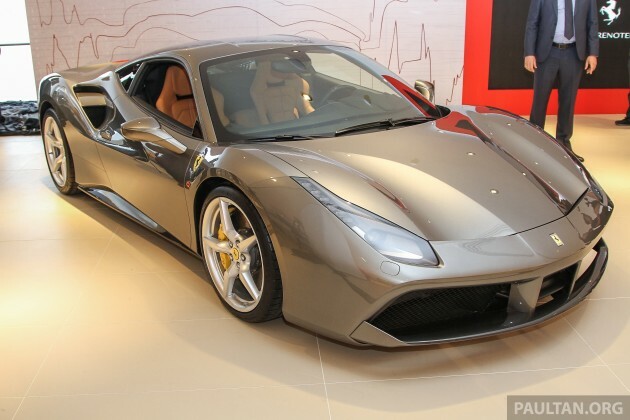 Lastly, Ratnaike remarked that Ferrari’s recent move to turbocharging, as seen on the California T and the 488 GTB launched today, isn’t likely to affect sales traditionally built on high-revving naturally-aspirated mills, adding that the firm has had a history of produced legendary turbocharged cars such as the F40. Thanks to GST, you see more and more cronies driving these on the road, while normal Malaysians keep waiting for their little Axia. Of course la no need to raise prices. Every year, Naza gets about 1000 over free APs. Each AP is worth about RM50k. So, that is free few hundred million. If they use the AP, profit margin on each car sold is few hundred thousand ringgit. You give me few hundred million free per year also I can make fancy showrom for you and take over Ferrari dealership and sell without increasing prices. I hope Naza can sort out their recon cars division. Many have complained that they bought luxury cars but when they sent these cars to the authorised dealership, the odometer says a different figure. Quite shocked Naza is one of the AP holders who tamper with their odometers to show a lower mileage car. Always thought only those lousy fellows at Jalan Genting Klang that do this. When you can afford one of these brand new..GST will be the least of your concerns. I bet you’re more concerned about the potholes that will kill your Ferrari’s suspension. what is 6% in 300% marked up? After the implementation of GST prices of most vehicles have come down(previous sales tax was at 10% instead of the current 6% GST). But Naza Italia has made it sound like they are doing buyers the favour of absorbing the GST. Naza Italia doesn’t even have enough dealerships to serve the whole country and they are talking about expanding to other countries. 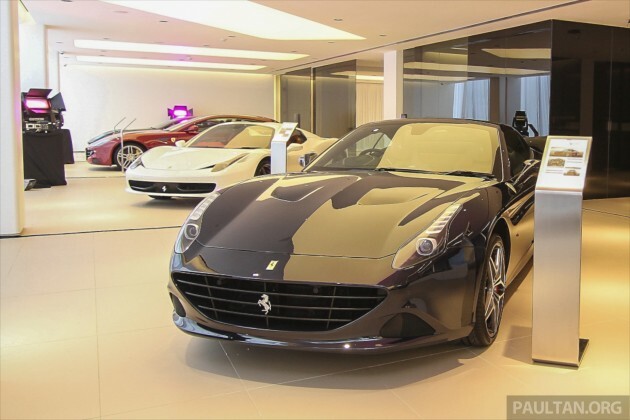 Most buyers from outside the Klang Valley who purchase their Ferraris or Maseratis are having a hard time getting after sales service for their cars. The situation is made even worse for owners in East Malaysia as after sales service is nonexistent. You should really look after your customers at your own backyard before being big headed trying to catch fishes in other ponds. keen to know how many units can Naza sell in a year? anyone?